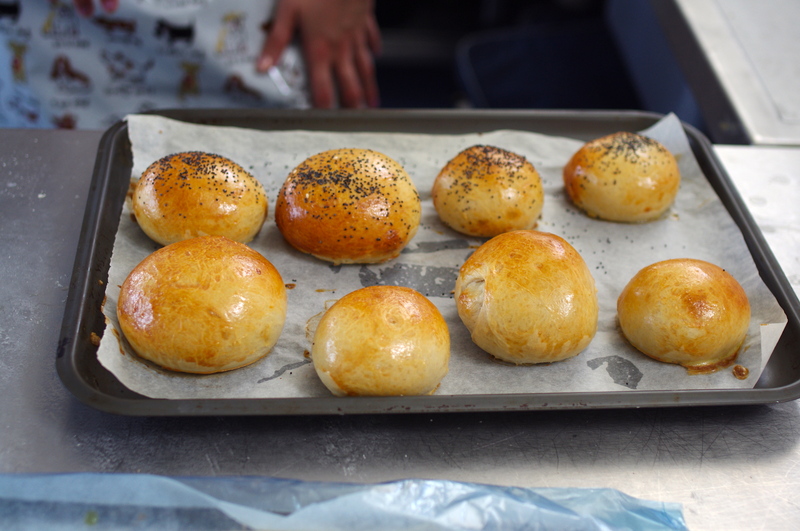 This is the no fuss recipe for making the delicious bread rolls we learnt to make on our baking course a few weeks ago. 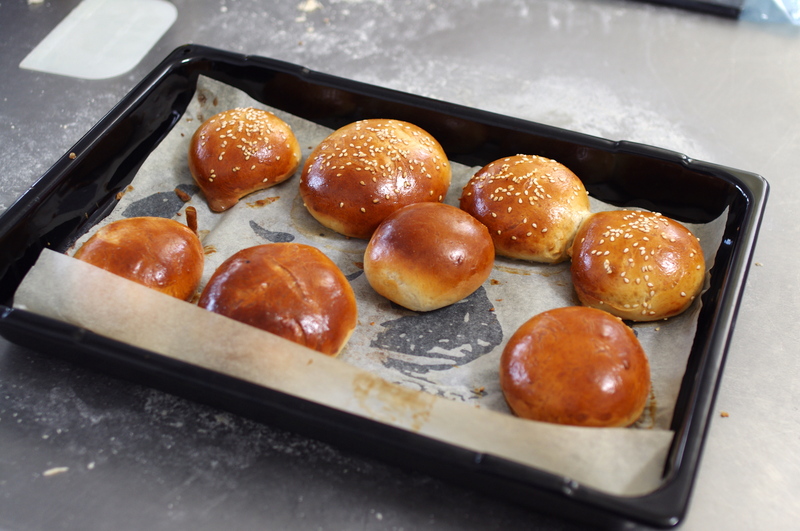 They are so versatile – use them as starters along with your soups, as a side for a main meal, for picnic rolls now the sun is finally here, or to take your bacon butty’s to the next level. 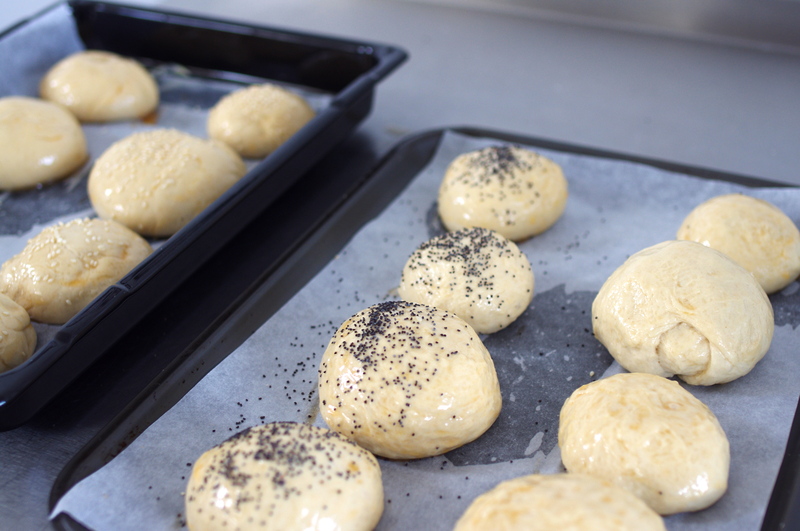 Kneading and shaping the rolls is astonishingly relaxing and gratifying – a great stress reliever. Rolls that will melt in your mouth and fill your house with the sweet aroma of freshly baked bread. Easy to freeze to use at a later date. Warning – you will never be satisfied with shop rolls ever again! 1) Place the flour, together with the milk powder and salt, into a mixing bowl. 2) Add the butter to the flour and rub well. 3) Measure liquid (slightly above blood heat) and dissolve yeast in liquid. 4) Make a well in the bowl and pour in the yeast liquid (a little more or less water may be needed to make a soft dough) and make into a soft dough. 5) Turn the mixture out onto a floured table and knead well for approximately 10 minutes until it is no longer sticky and a smooth elastic dough is formed. 6) Return the mixture to a clean bowl and cover lightly with a tea towel, or greased cling film and leave to double in size. 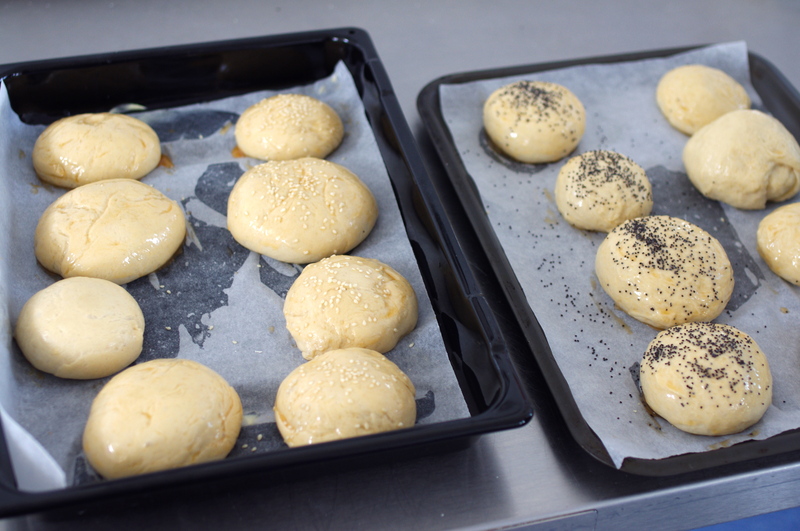 7) When the dough has doubled, knock it back (i.e knead it again – thoroughly) and then divide it into 16 equal sized pieces and shape into rolls. 8) Place rolls on a baking sheet lined with non-stick baking parchment and cover gently with a clean tea towel. Leave to prove until doubled in size again. 9) Preheat the oven to reg 8/450F/230C. 10) When the rolls have reached almost double their original size, brush them all over carefully with egg wash which is made by beating a whole egg or, preferably, an egg yolk with a large pinch of salt and a teaspoon of water – the egg will then thin down and be of a good consistency to coat the rolls in order to obtain a good colour. 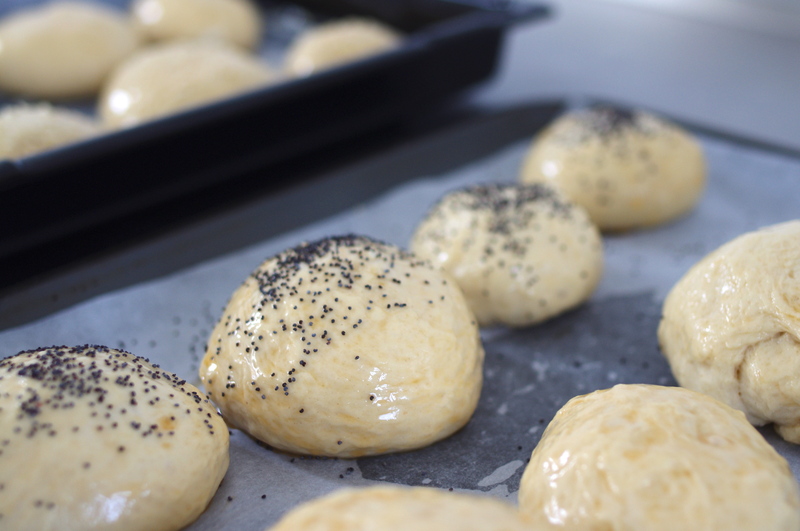 11) sprinkle the rolls with a few poppy seeds or sesame seeds if wished for extra colour, flavour and texture. 12) When ready, bake the rolls (towards the top of the oven if using Gas) for 8-10 minutes or so until cooked (golden on top and when turned over and tapped underneath they should sound hollow). 13) Place on a wire rack to cool. Thanks Mimi. I can’t believe the weather here in the UK at the moment. We have waited a LONG time for the sun to come out this year. This heat wave is a real treat! Emma.